Emery's side head to Craven Cottage bidding to extend their winning streak to nine matches in all competitions. LONDON: Unai Emery insists Arsenal won't be allowed to use their hectic schedule as an excuse for a poor performance when they face Fulham on Sunday. But Arsenal will be battling fatigue after touching down in London in the early hours of Friday morning, following a 4,000km flight from Azerbaijan, where they beat Qarabag 3-0 in the Europa League on Thursday. 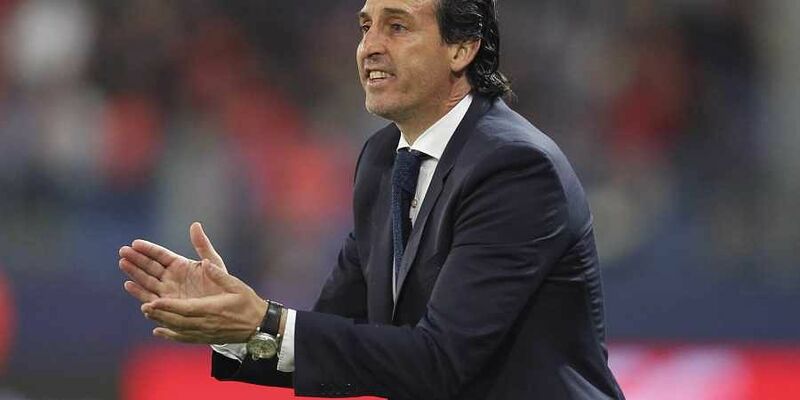 It is hardly ideal preparation for an important Premier League clash, but Emery tried to guard against burn-out by resting several players against Qarabag. And regardless of the potential for dwindling energy levels after the gruelling European trip, the Spaniard believes his stars should be able to cope. "For us it's not a problem to play on Thursday and then on Sunday because we want to play a lot of matches and a lot of competitions," Emery said. "We also want to give the players the chances and opportunities to play, to give them confidence, responsibility and rhythm like today for all our players. "The players who sometimes don't play were used against Qarabag. But then also, maybe players who featured against Qarabag can play on Sunday too. "We can do that with some players. For us it's very important on Sunday to produce the best performance." The Gunners should be able to use the momentum from their impressive winning run to keep them firing on all cylinders in the London derby. Arsenal, up to fifth place after recovering from their slow start to the season, are vying to win six successive Premier League matches within a single campaign for the first time since August to October 2016. They could earn three consecutive away league victories for the first time in two years, but Emery won't be taking Fulham for granted. "Fulham is a very big challenge for us, first because it's away and second because each match in the Premier League is very, very difficult," Emery said. "Fulham bought very good players like Seri, like Anguissa, and they have Mitrovic and Schurrle too. It's a very good team and I think their coach is a very good coach with experience in England. "We need to push against them on Sunday and also show our best performance. Our idea is to be focused on Sunday with all of our players." Arsenal hope Gabon striker Pierre-Emerick Aubameyang will have recovered from illness, while Aaron Ramsey could play depending on the timing of his child's birth. Bernd Leno will make his first Premier League start, with Petr Cech ruled out by a hamstring injury. A Fulham defeat on Sunday would equal the club's worst start after eight top-flight matches. They have won only one of their seven games and Slavisa Jokanovic's side hold the division's joint worst defensive record, conceding 16 goals along with Cardiff and Huddersfield. "There's huge room for improvement. We are working to find our best formation, Jokanovic said. "We're not at our best level, and we need to continue to work hard to reach that level. We need to be more ambitious, show more aggression, spirit, desire and intensity. "After two hard games, Arsenal have found stability. They're a team in form, a big club and a good team. "We need to be motivated, and we will be ready for the battle."